Member of the Blogapalooza 2011 community back then. Now happy to be part of Blogapalooza 2013! Hey Coffeeholics! After several years, Blogapalooza is back! I really enjoyed the first Blogapalooza event. It seems like it was just a year ago when I attended the first Blogapalooza and I met and gained new friends and gained new connections because of it. Indeed it is a great opportunity for us bloggers to meet other brands and companies all in one place! 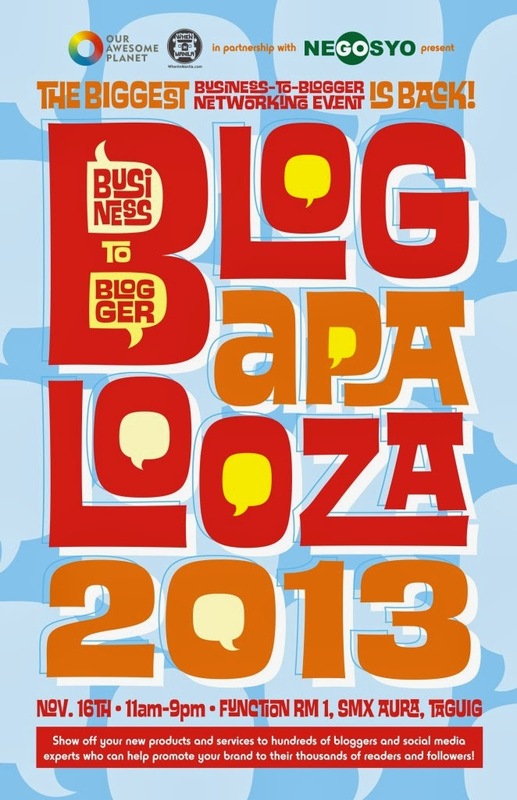 Blogapalooza 2013 happening on November 16, Function Room 1, SMX Aura, 11-9 p.m. So what is Blogapalooza? Blogapalooza is a community. It's a link between big and small businesses who have something cool to share and the online community of people who love to share. Blogapalooza is a blogger event on crack! Lots of giveaways for the bloggers and online community and a chance for big and small businesses to present their product/brand/thingamajig to hundreds of influential bloggers and online social media influencers. And so my dear blogger friends, if you haven't signed up for this yet, well don't miss out! Check out Blogapalooza to sign up. There are still some slots left. Malay nyo makasama pa kayo. :) And to our partner companies and brands who are interested in presenting to a whole bunch of bloggers, well here's your chance! 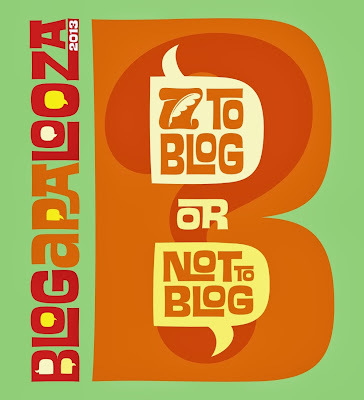 Sign up to be part of Blogapalooza 2013. Hope to see you all there!